Prepare to Play! : A Mud Party! We missed International Mud Day recently as we were on school holidays but after seeing all the mud play photos around the blogs I had to do this with my kids - I knew they would love it! 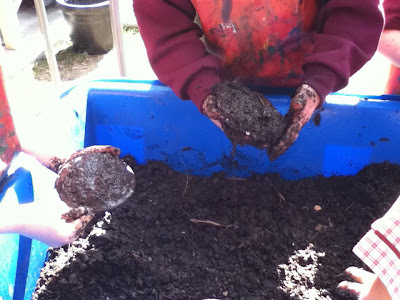 The water trough was already full of dirt left over from Dinosaur Land so I encouraged the children to add water and watched as they delighted in squelching their hands through the mud. They proclaimed that they were having a mud party and set about making mud pies. The children excitedly talked amongst each other about how the mud felt in their hands and used words such as squelchy, mushy, icky, sticky, gooey and squishy to describe what they could feel. 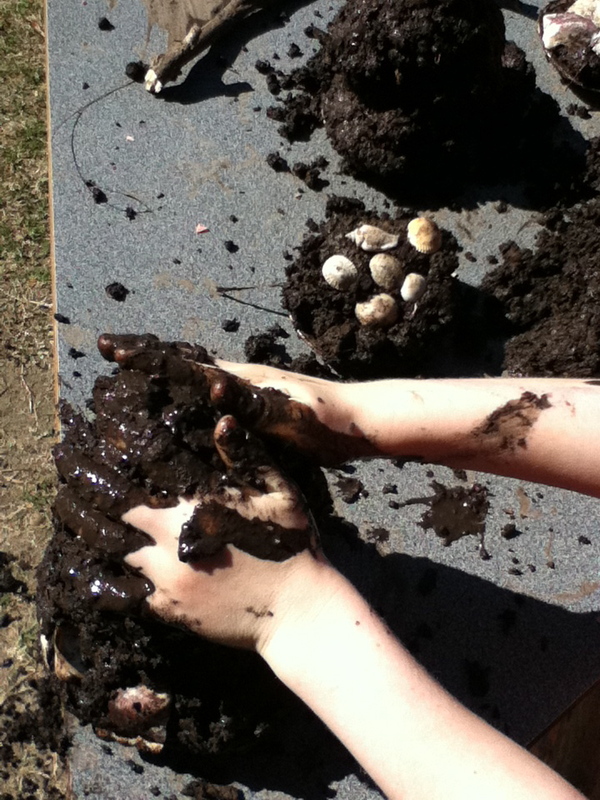 Not only was this a great sensory and oral language experience but the delight on their faces as the mud oozed through their fingers was priceless!